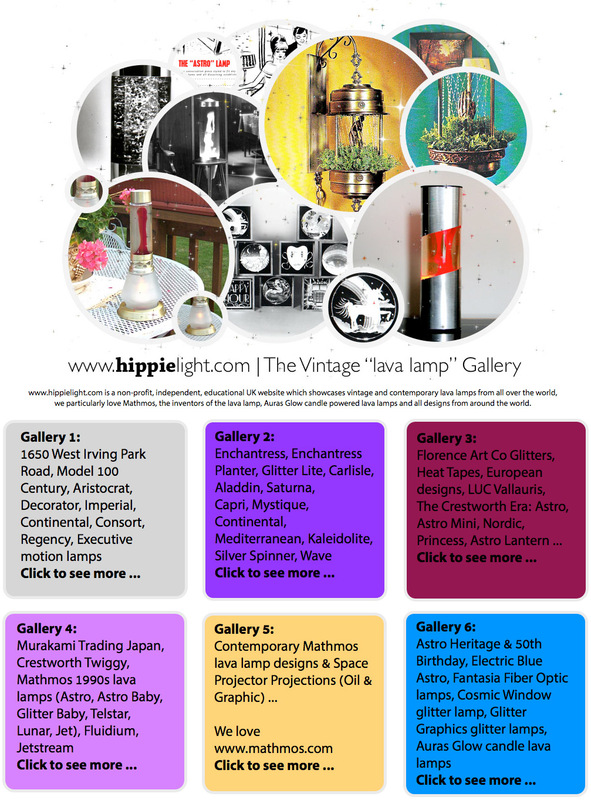 Hippielight.com has been dedicated since its very first day to the history of vintage "lava lamps" and the original vintage designs relating to the 1960s & 1970s. 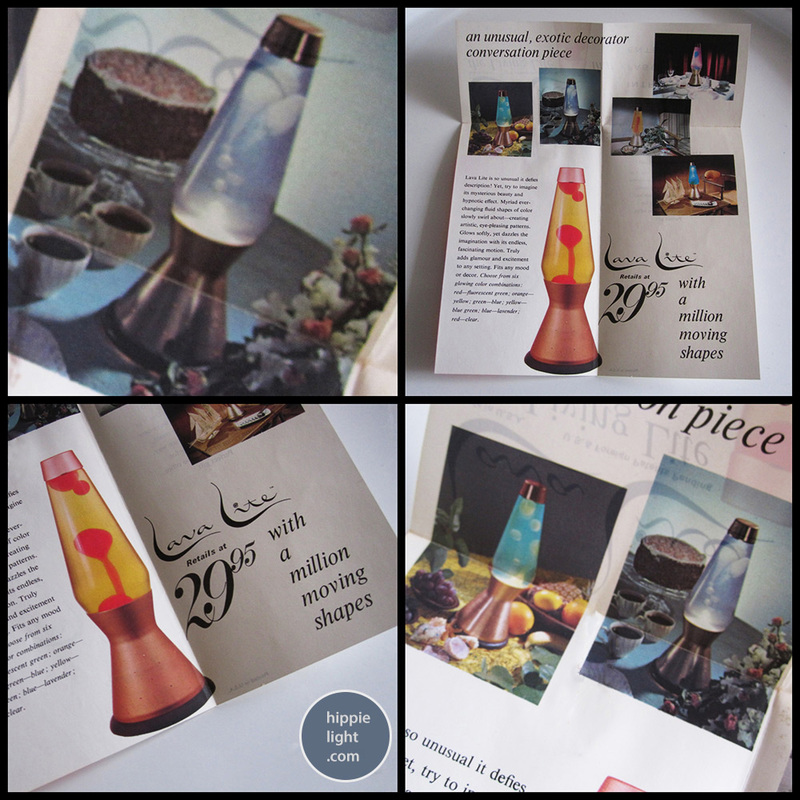 Hippielight documents the legacy of vintage "lava lamps" from all over the world, the vintage designs and the designs that are loved by everyone still today, decades after their release. From Century, to Enchantress Planter, to Carlisle, to Continental, to Decorator, to Aristocrat, these vintage manufactured "lava lamps" are still loved by thousands today and a represented through photography and nostalgic memorabilia in collections and displayed on www.hippielight.com. I would like to take this opportunity to thank Christine Baehr for her kindness and donating such an amazing array of photography and material to the www.hippielight.com archive. I'd also like to thank a wonderful array of people who have kindly donated information or photography to us, with special thanks to: Bohdan & Patti Rudy, Craig French, George Stadnik, Bob Chudy, Ravi Shah and Jeff in California. 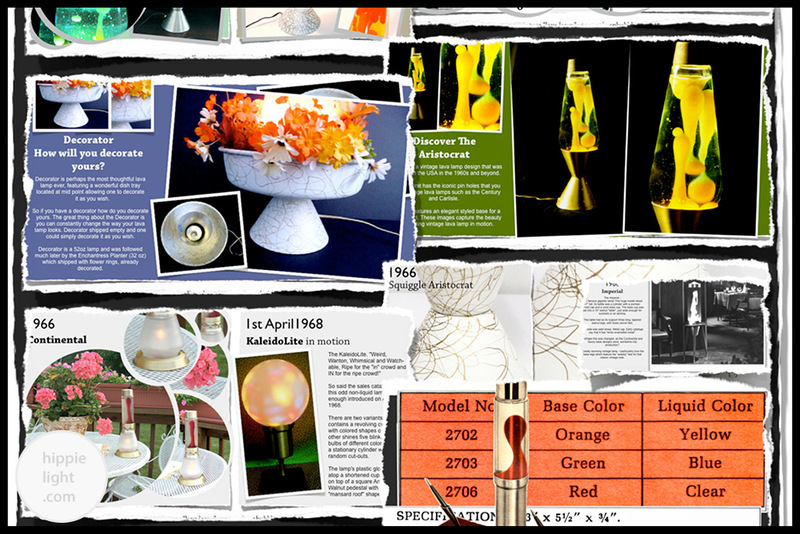 We document lava lamps from all over the world with designs from Crestworth which was founded by Edward Craven Walker and now known as Mathmos, the inventors of the lava lamp. 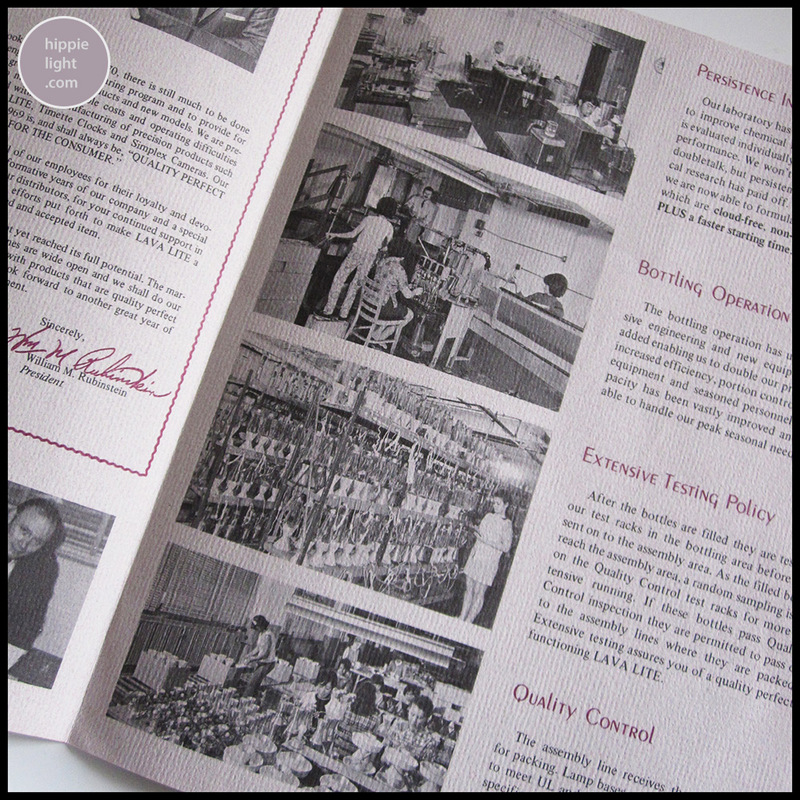 We also follow the history with designs from the US, UK, Continental Europe and Japan. 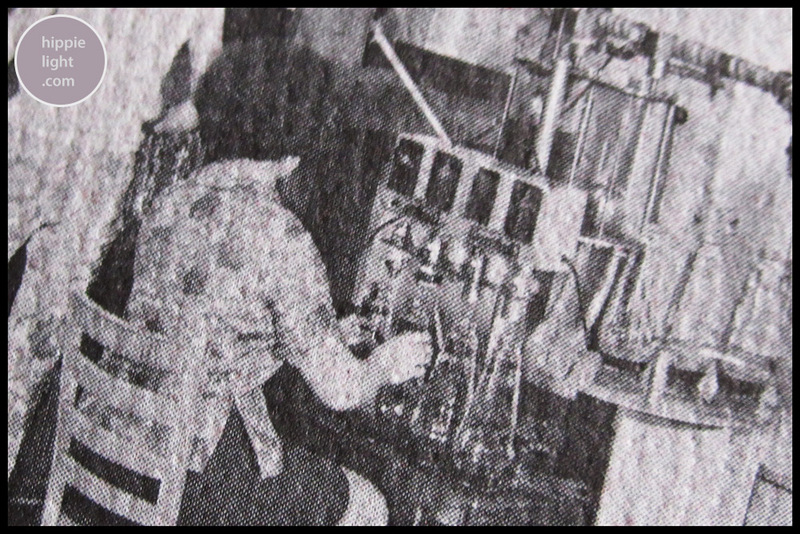 How did the lava lamp arrive in the USA? 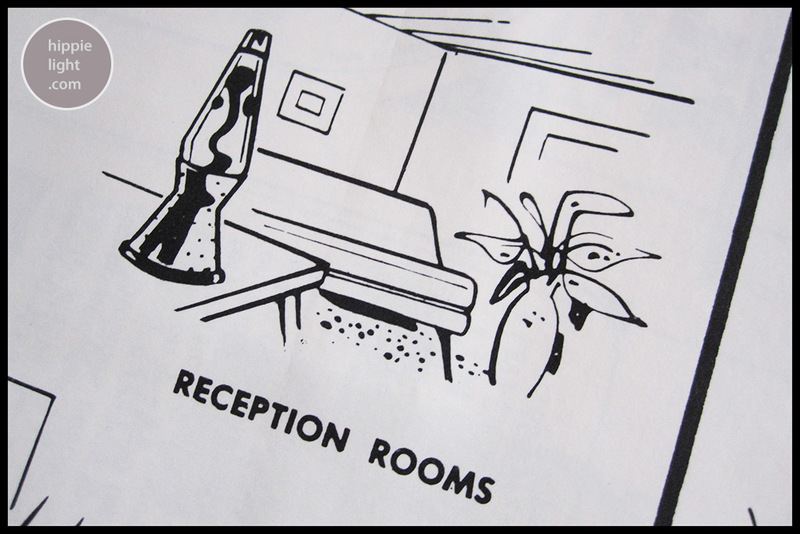 In April 1965, Crestworth (now known as Mathmos), the inventors of the lava lamp, exhibited the Astro lamp at an International Trade Fair at the Atomium in Brussels. There was a company named Mini Office Belgium, which had seen the lamps at another trade show event and they agreed that Crestworth could display their lamps to enhance their exhibits which were furniture units and were designed to close or fold up when not in use - e.g: Mini Offices. 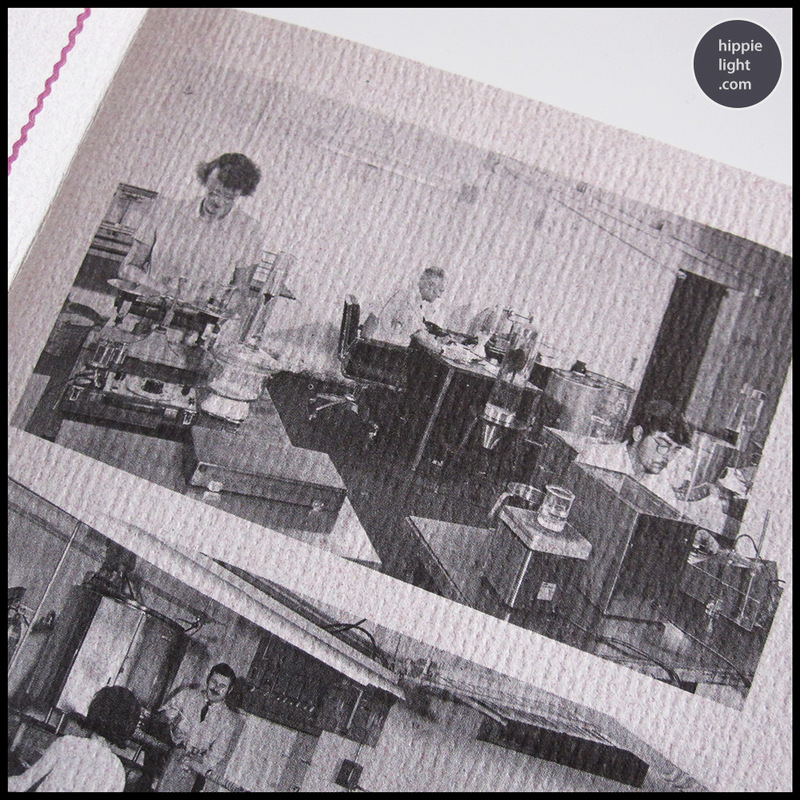 Edward Craven Walker attended the trade show with the two gentlemen who ran Mini Office. 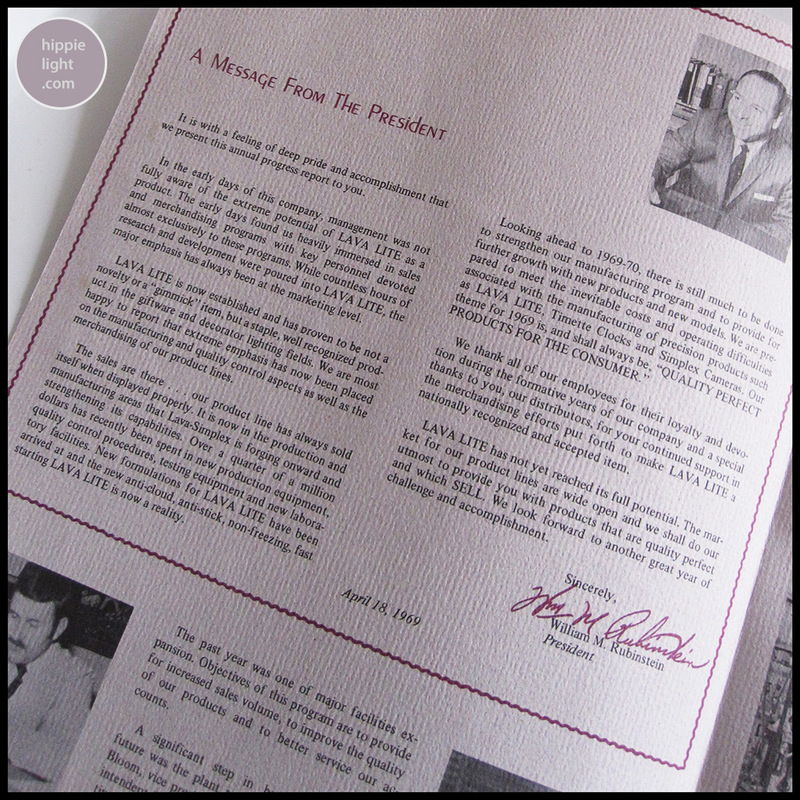 An American businessman named Frank G Ellerman visited the trade fair where the Astro lamp caught his attention. 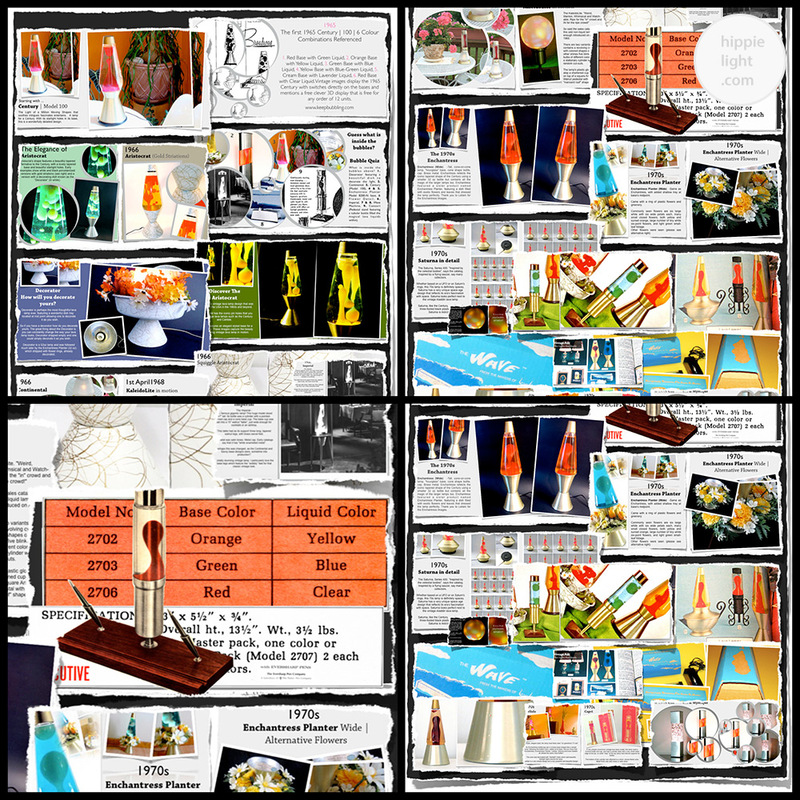 He expressed interest in selling the lava lamp in USA and Crestworth arranged to send out some samples as soon as possible. He also stated that he had a wealthy businessman friend Adolph Wertheimer would also be interested in promoting them in the USA with him. Ellerman subsequently returned to the USA, firstly to New York and then to Chicago, writing in early May from his company named Ellerman Development Co., Ellerman faded out of the scene later. After a problematic period with Wertheimer, Hy Spector would eventually take over the project with a completely different approach to the business. 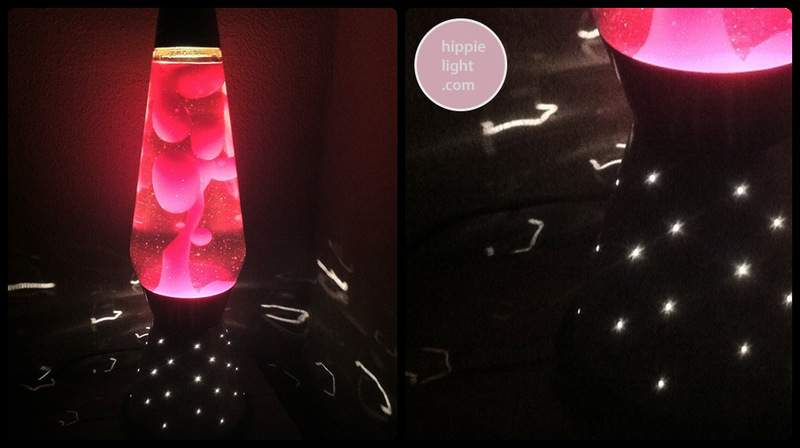 It is actually due to Hy Spector, that the lava lamp in the USA would reach such a success in the 1960s and the 1970s. 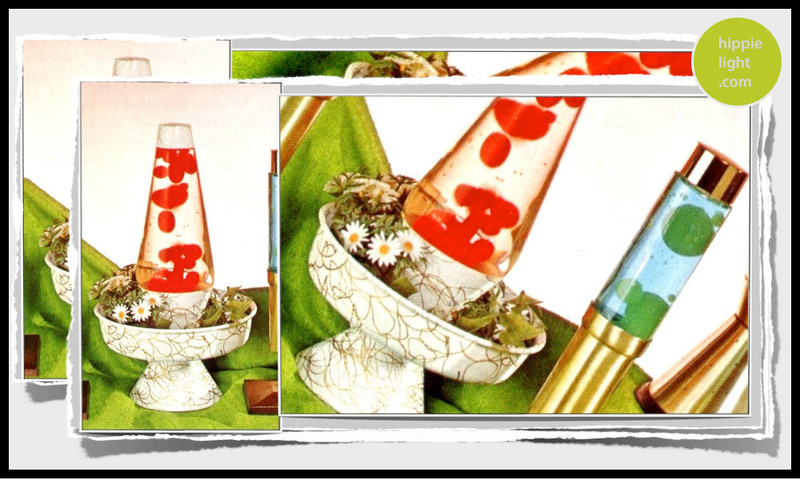 Products such as: Century, Aristocrat, Consort, Imperial, Continental, Enchantress, Enchantress Planter are still regarded as some of the finest lava lamps of all time. Lava would pay Crestworth an annual license fee, with consultation fees, which involved Crestworth personnel visiting to verify the production procedures and also discuss new ideas for products. Hy Spector is widely recognised for his amazing work at Lava. Lava would go on to create a diverse array of other products such as cameras with their Simplex division and Timette with their array of timepieces. www.hippielight.com | The Century Model: 100 | The Vintage Iconic Century "lava lamp"
The Century was the first lava lamp produced in the USA and started the legacy of the "lava lamp" in the United States of America. 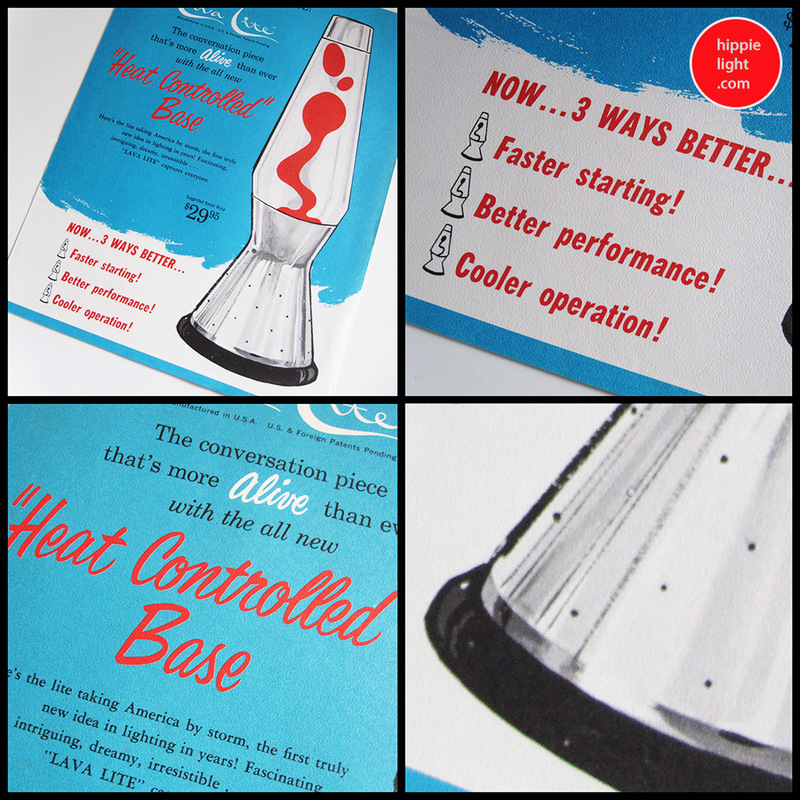 The original founders of Lava Corp., were inspired by the Crestworth Astro Lamp, that they saw at an exhibition and they acquired the rights to sell it in the USA. 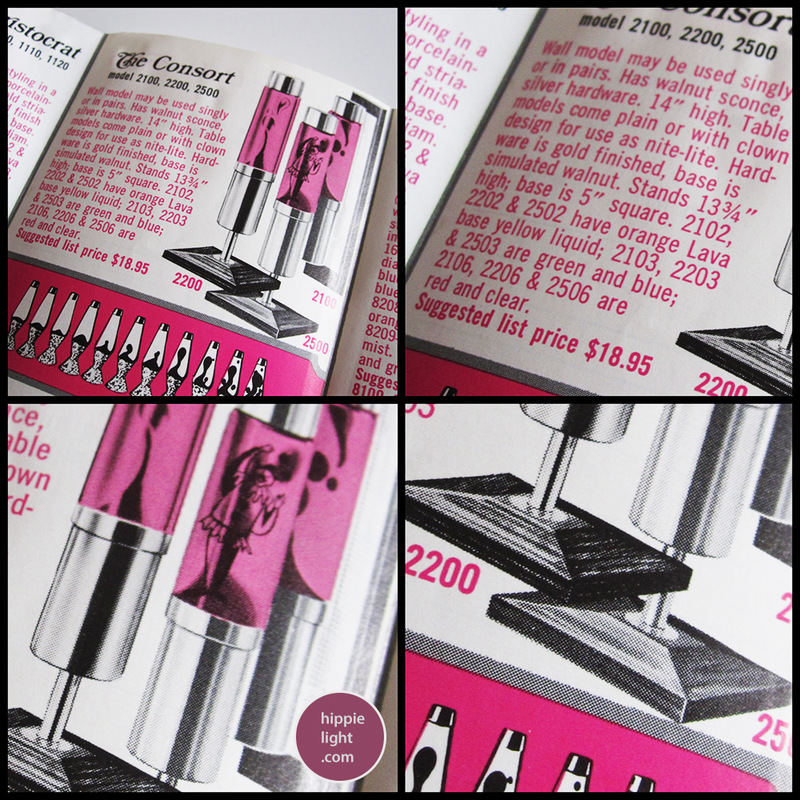 They opened in Chicago and brought the magic of the Astro lamp to the USA in 1965. 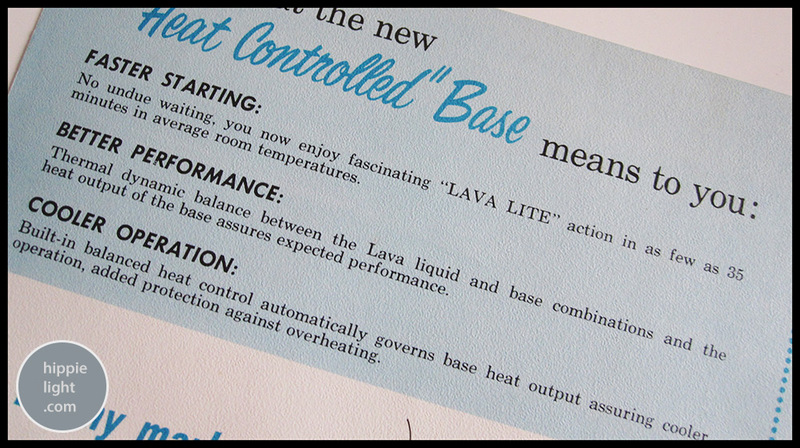 What would become the Century first appears refered to purely as "Lava Lite" in 1965 printed material and was described as "America's Most exclusive new look in lighting ... 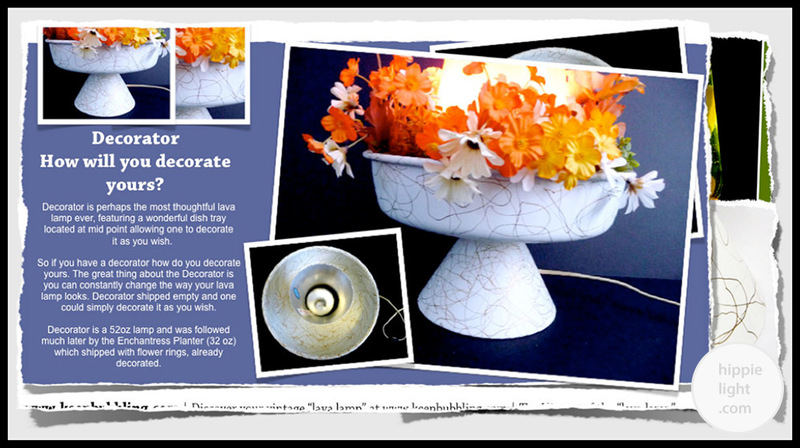 Adds glamour and interest to any setting!" The Century is the American version of the Astro with a few notable changes such as starlight holes in the base, which were very popular in lighting fixtures of the time. With its pinhole starlight base, it is a timeless design that will stand the test of time. 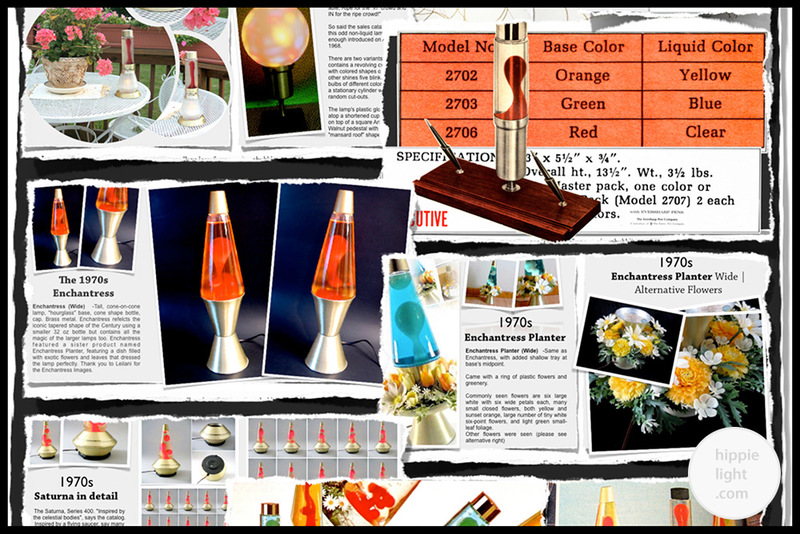 The Century was a classic that was core to the lava lamp that was manufactured in Chicago in the USA. 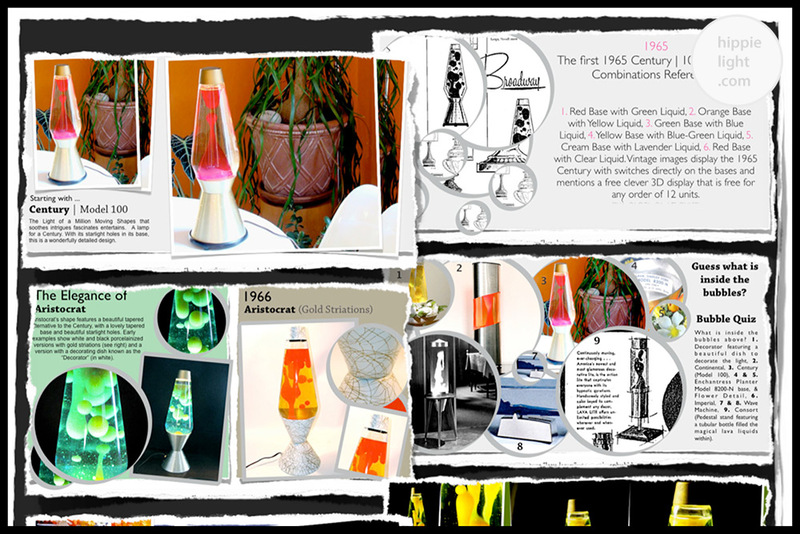 Century and all the great vintage USA lava lamps are the vision of Hyman Spector, the co-founder of Lava Corp, in 1965. 1960s colour combinations for the Century include: Red/ Fluorescent Green, Orange/ Yellow, Green/ Blue, Yellow/ Green-Blue and Red/ Clear. The Century also featured a Champagne Mist colourway, that was refered to as "A cream base in a pale amber liquid - A truly enchanting combination" Century uses a 40 watt appliance bulb. You can see the unboxing of a vintage Century below which this particular model features the original lava lamp hang tag, showing the bubbles around the name. A great USA manufactured piece. Century made in the USA was an unusual exotic decorator conversation piece. Use a 40w bulb inside your vintage Century for the correct flow. Some of the very first colour combinations for the Century lava lamp would be: Red / Fluorescent Green, Orange / Yellow, Green / Blue, Yellow / Blue Green, Blue / Lavender and Red / Clear. Power yours with a 30 watt R-20 reflector bulb. 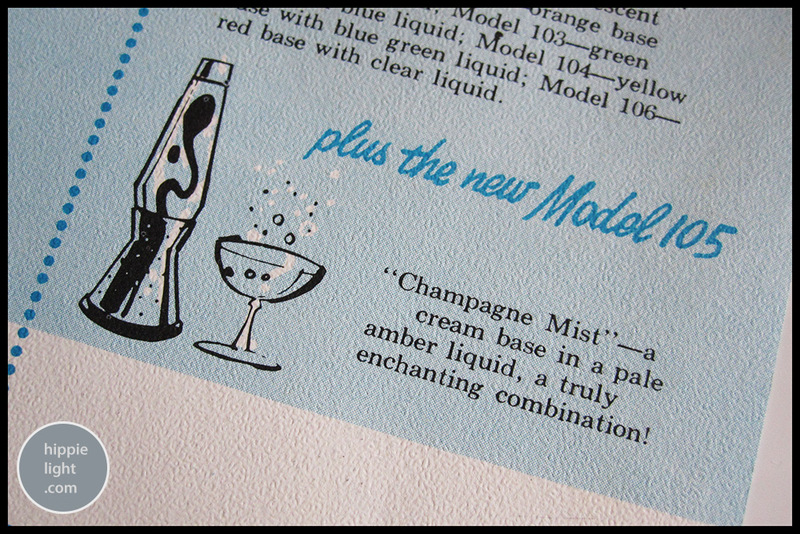 The Century is one of the most enduring lava lamps of all time and at www.hippielight.com we love Model 105: "Champagne Mist - a cream base in a pale amber liquid, a truly enchanting combination!" 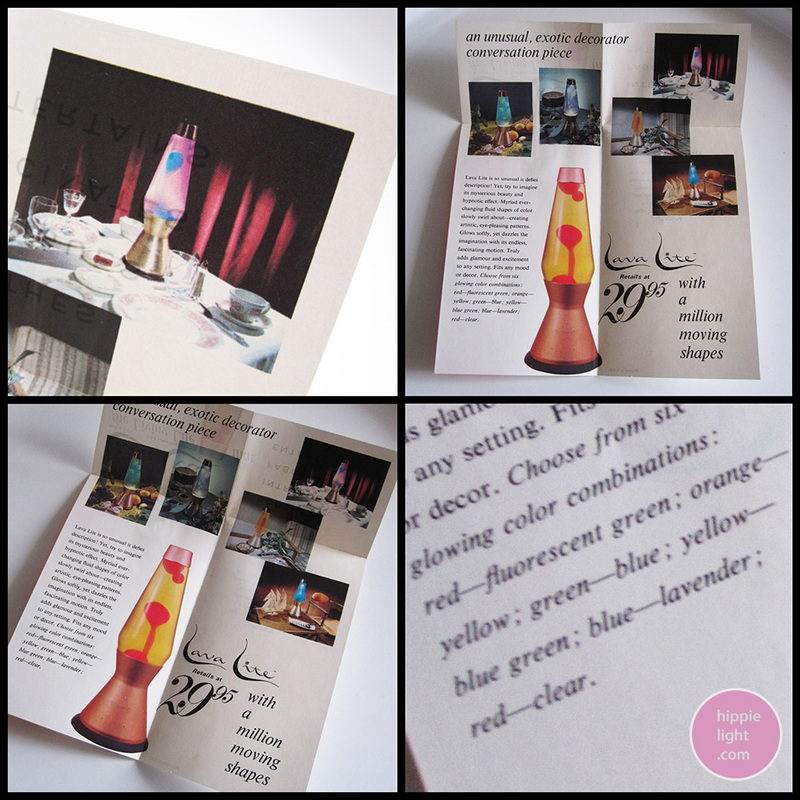 Merging candle light with the motion of the lava lamp, the Continental and the Savoy were the only vintage non-electric, candle powered lava lamps, with a special candle powered unit, that would power your light for 75 hours, for plenty of bubbling. 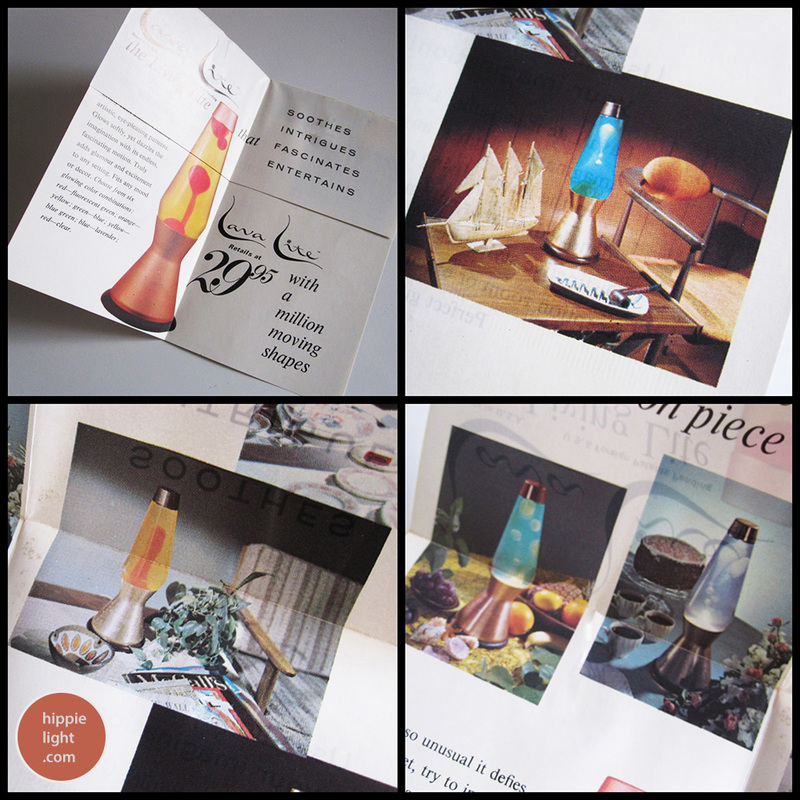 Today these candle powered lava lamp units are no longer available so a raised tea-light often does the trick. Perfect for patios, the Continental would be the only candle powered lava lamp till the introduction of the Mathmos Fireflow candle powered lava lamp in 2009 and the launch of Auras Glow. Continental features a Consort sized globe bottle that is seen in many models, the bottle sits on a metal funnel collar having a series of cut outs most notable diamond shaped cut outs which allow air to reach the candle base. 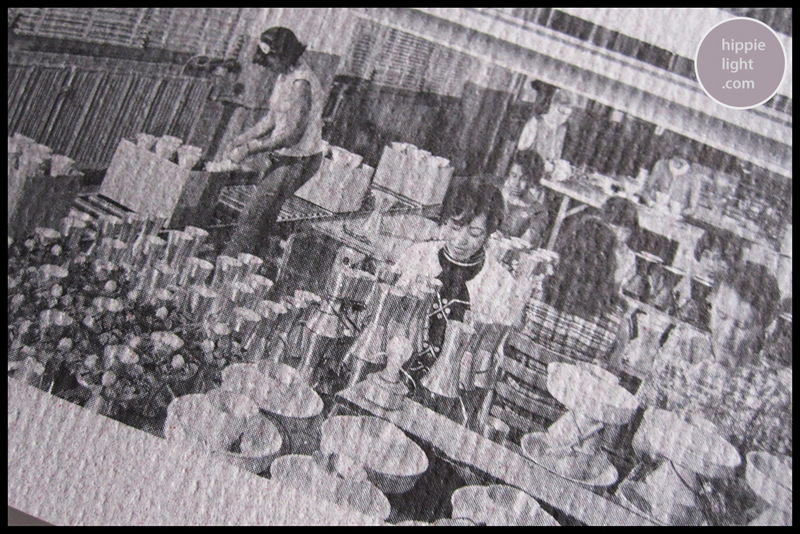 The glass candle unit was a glass cup filled with a candle and it sits on a metal tray. "Use it everywhere - indoors or out - it's non-electric - cordless and carefree. Excellent for commercial use. 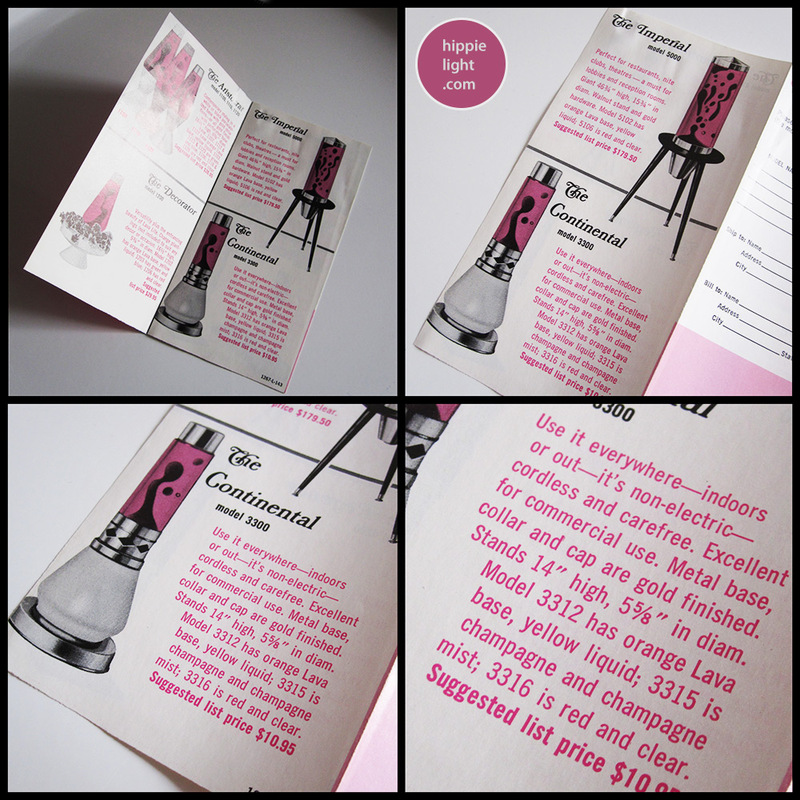 Metal base, collar and cap are metal and bottle is glass with lava formulation. Model 3312 has orange lava base, yellow liquid. 3315 is champagne and champagne mist. 3316 is red and clear. 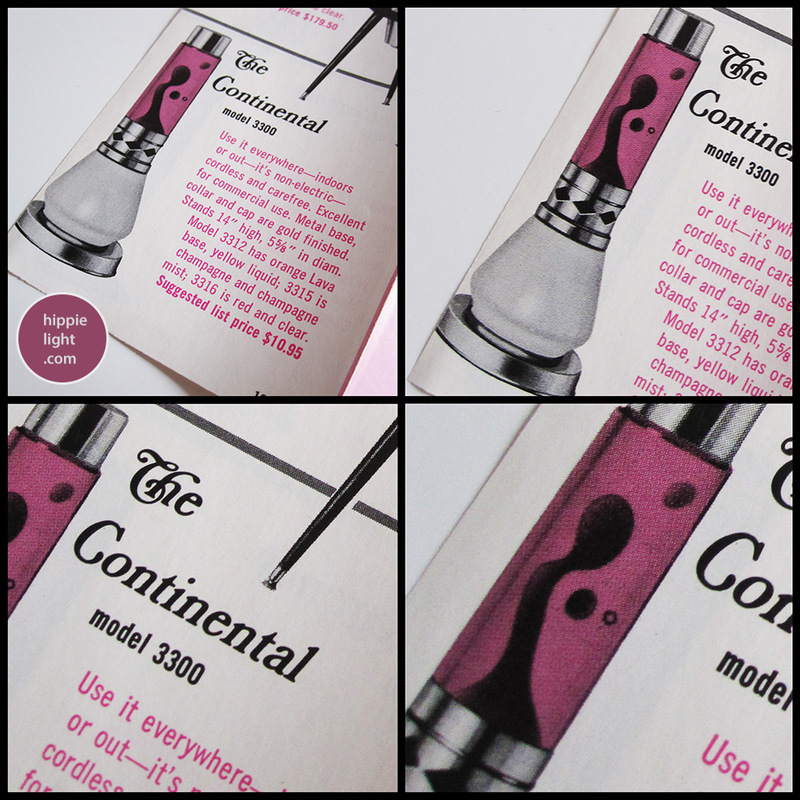 Continental was also advertised as a Happy Occasion Pack which featured three Champagne Mist bottles printed with "Happy Birthday", "Happy Anniversary" and "Happy Holiday". 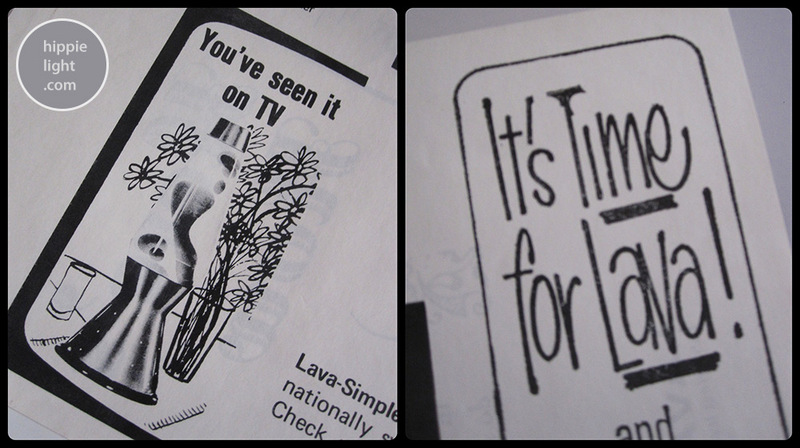 Imperial was the flag-ship lava lamp from Lava launched in the 1960s. This stunning floor-standing model features a cylindrical globe with a shallow pointed hat cap. The base was a cone cylinder that sat on on a table with three tapered walnut legs. Imagine this in a night club, hotel or any public space. Giant, beautiful and often confused with Crestworth's Princess floor-standing model, this model was an actual production model and can be seen in Lava's lab in vintage photography. Model: 5102: Orange Wax. Clear Fluid. Model: 5103: Green Wax. Clear Fluid. Model: 5106: Red Wax. Clear Fluid. More colourways may have been produced in the following years. Imperial uses a 150 watt FL-R-40 flood bulb in the base. 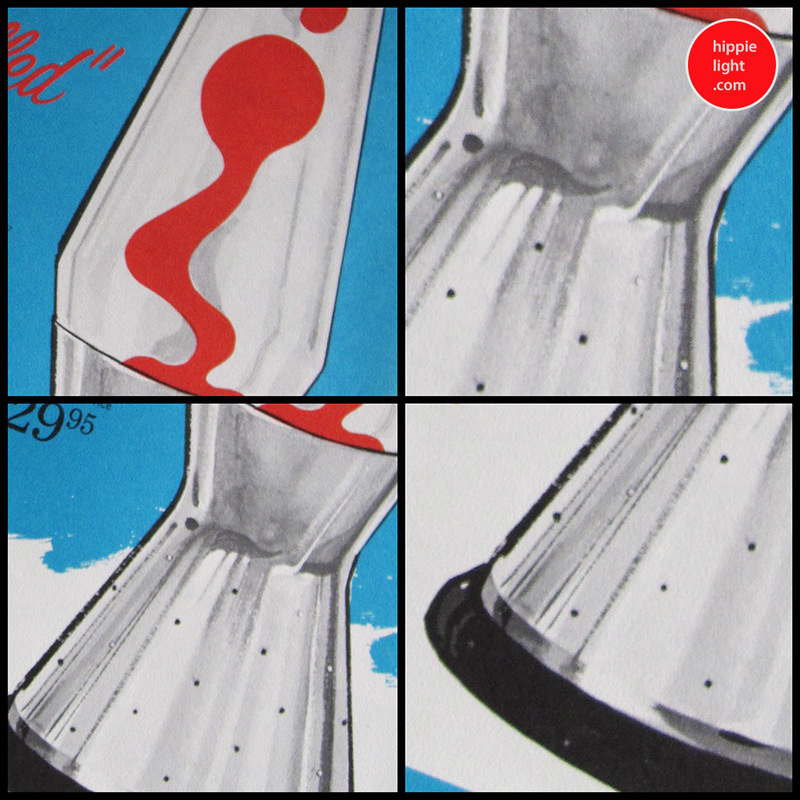 The Consort is a beautiful small vintage lava lamp which features a sleek, modern tubular design bottle that fits onto a square metal stem base. Consort originally featured wooden bases but this was later changed for plastic bases as the Consort ended production. Consort was directly inspired by Crestworth's Nordic designs and the beautiful Crestworth Cosmos lamp. 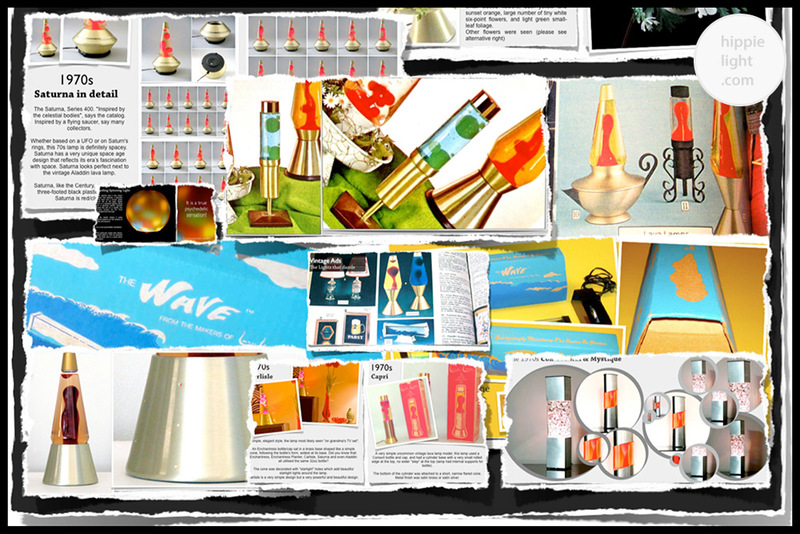 The Consort concept would see a massive array of variations and the Consort lava lamp bottle would be used in a great number of designs from candle powered to even wall-mounted. Consort would see a basic version known as Nordic, with a polished metal/ chrome finish and a black plastic base. The Nordic name would also be used to refer to other models such as a chunky square metal based lamp that is rarely seen. The Consort would also inspire a wall-mounted version known as Princess, which features a Consort bottle sitting in a cylinder base, with a switch placed on the base. The lamp was attached to a beautiful American walnut backing with a lovely panel of reflective plastic that reflects the wonderful light and colour from the Princess. This lamp is so very rare but if you are lucky to have one of these power yours with a 15 watt sewing machine bulb in the base. 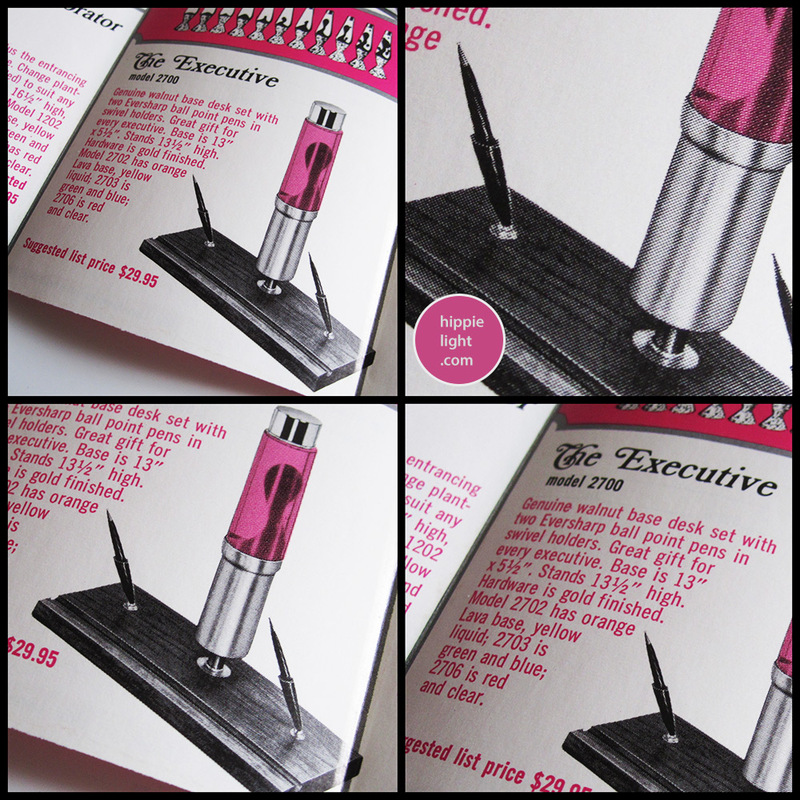 The Executive was yet another model that featured the Consort bottle, with a genuine walnut base desk set complete with two Eversharp ball point pens in swivel holders. The hardware was gold finished with Model 2702 with Orange lava base and yellow liquid. Model 2703 green and blue and model 2706 red lava base in clear liquid. It was described as: 'Magnificent Masterful Masculine' Did you know that there was another version of the The Executive with a Justice figure placed on the side? The Regency is often confused with the smaller Consort lamp, which is seen more often for sale. The Regency was described as: "Tall, stately, dignified. 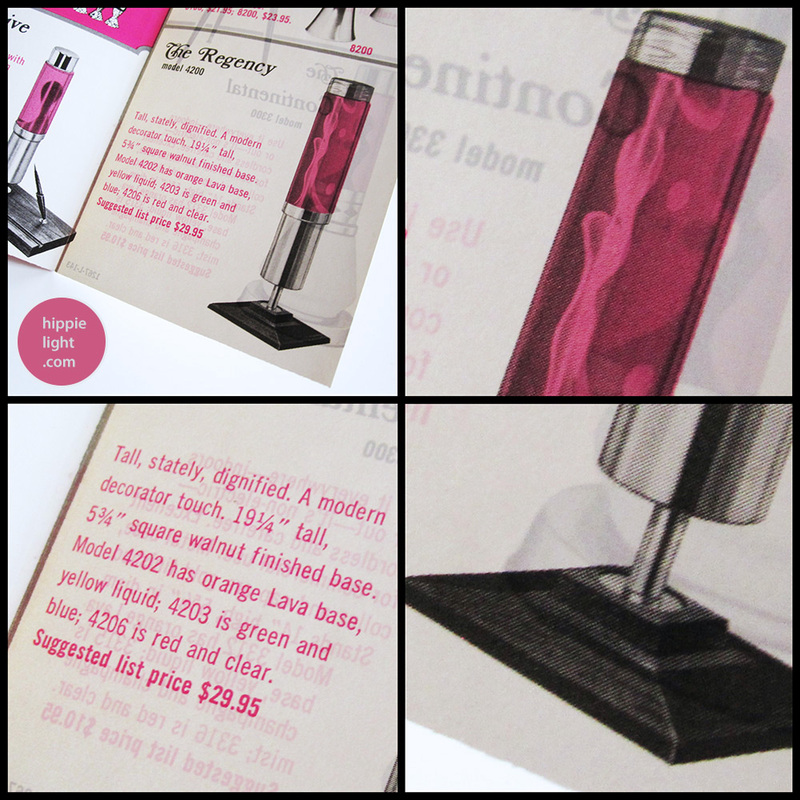 A modern decorator touch" and features a tubular glass bottle, with a square walnut finished base. Models advertised in the brochure below include: Models 4202 Orange/ Yellow, 4203 Green/Blue and 4206 Red/Clear. This wonderful lamp is rarely seen and has been seen with both a metal and wooden cap. The Regency was part of the Royal 4000 Series. The Aristocrat is the sister product to the Century and features a very beautiful elegant base design with beautiful starlight holes in the base that creates a beautiful touch to the piece. In the earlier years the Aristocrat was offered in a white or black porcelainized base with gold striations. 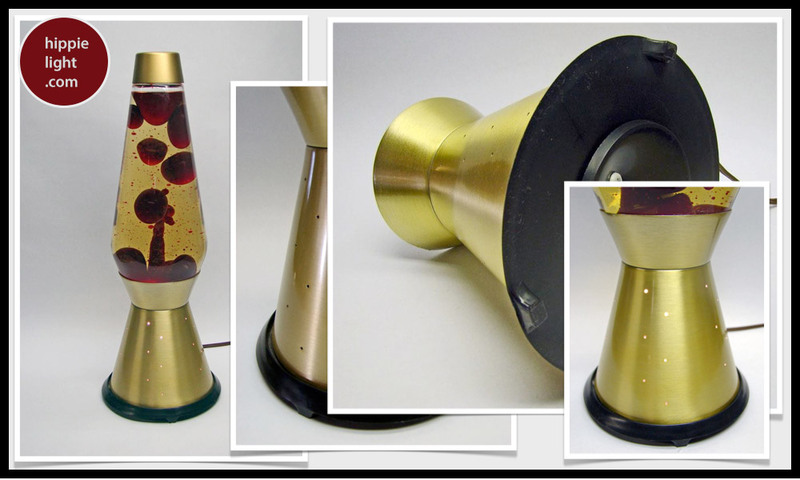 Aristocrat was a very popular design and features a sharper, tighter and tapered base design than the Century, creating a very elegant cone upon cone form. 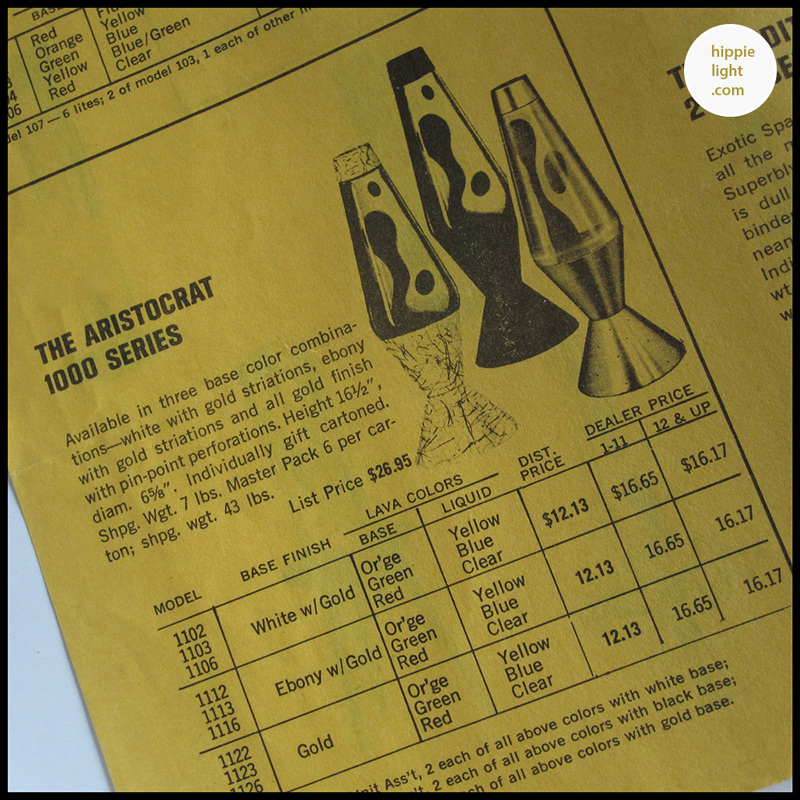 Aristocrat was also made in the USA and they were very popular lamps. 1960s colour combinations for Aristocrat include: Green/ Blue, Champagne Mist, Red/ Clear. Aristocrat uses a 30w R-20 reflector bulb. The Decorator extended the concept of the of the Aristocrat with a decorating tray placed at the mid point of the base where the two cone metal parts meet. 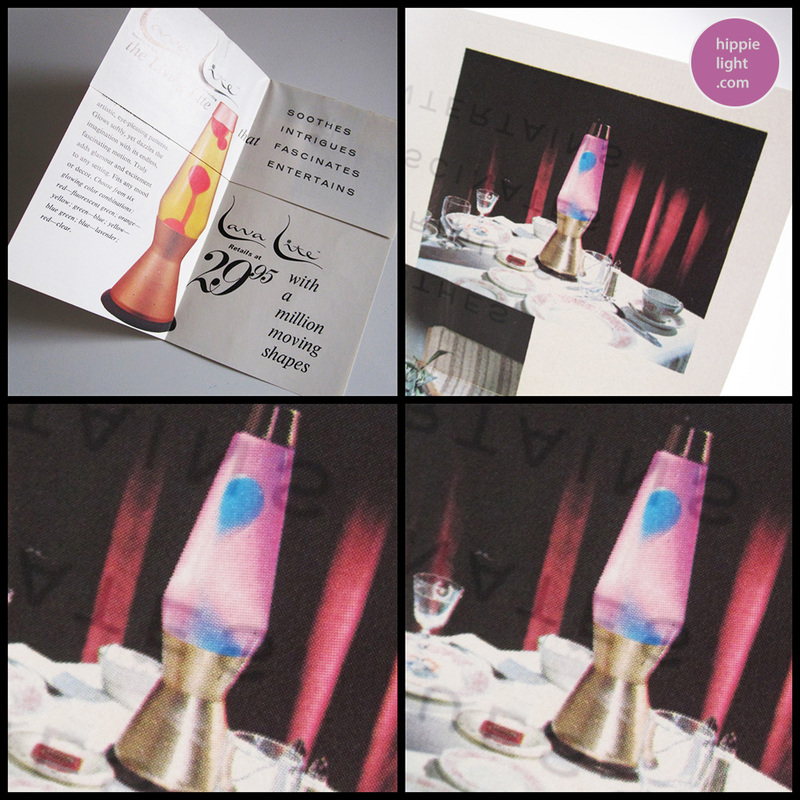 This beautiful lava lamp featured a dish which was shipped empty and could be decorated with artificial foliage as often seen in brochure material. Decorator is most likely to be seen with the white porcelainized base with gold striations (gold paint splashed all over the base). This finish is often seen on other home items of the time. The big question is how will you decorate yours? 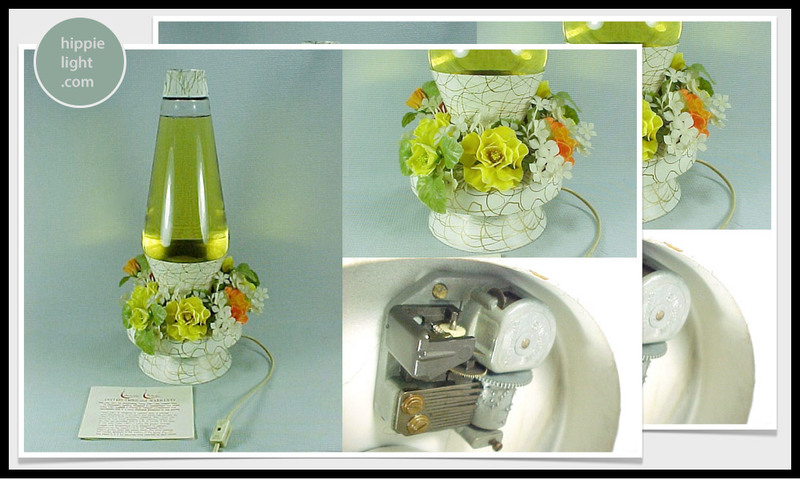 This model was targeted to the homewife who wanted to decorate the lamp and was shipped without any flowers, allowing one to decorate it as one pleased. Do you remember this model, did your family have one? 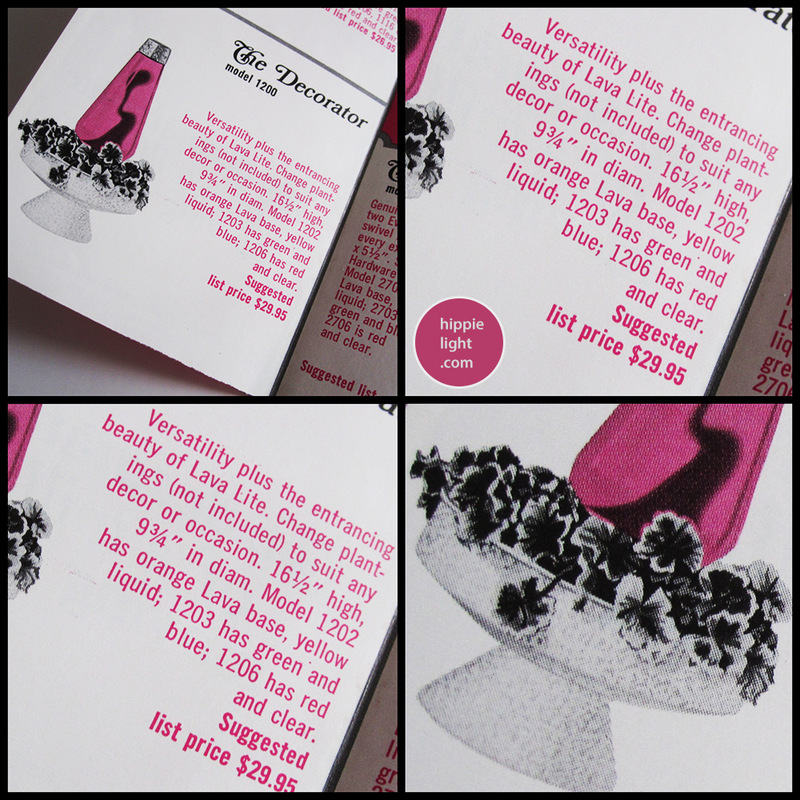 With or without flowers you will love the vintage Decorator "lava lamp". 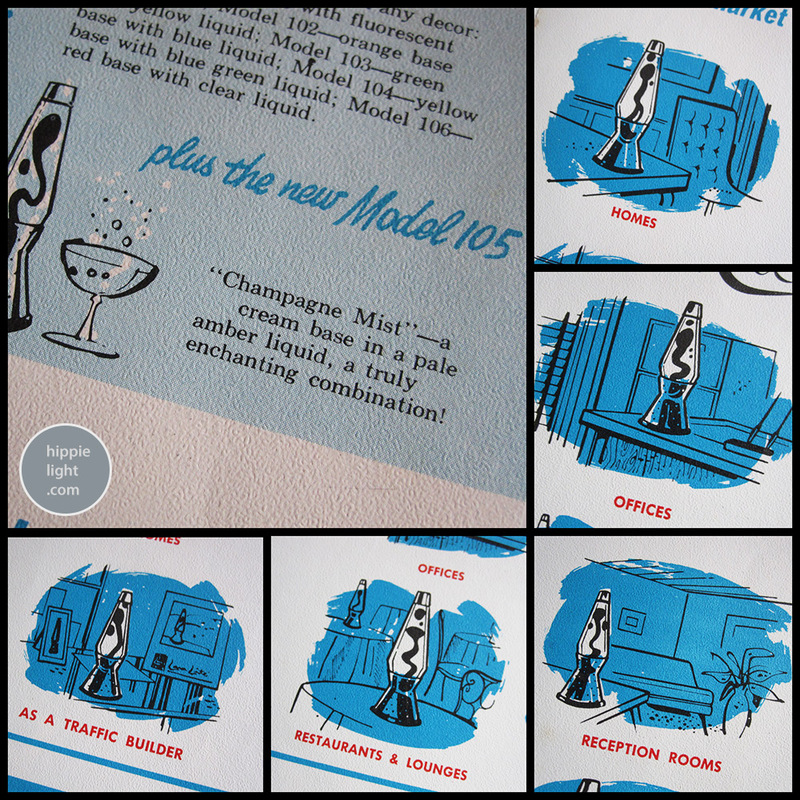 Decorator is seen in a 1966 brochure featuring three colour options: Green/ Blue, Champagne Mist and Red/ Clear. If you have one of these beautiful models, why not send us an email and let us know how you decorate yours. Decorator uses a 30w R-20 reflector bulb. The Decorator is sometimes confused for the later smaller 1970s Model Enchantress Planter which actually featured its own hippie flower ring straight out of the box! 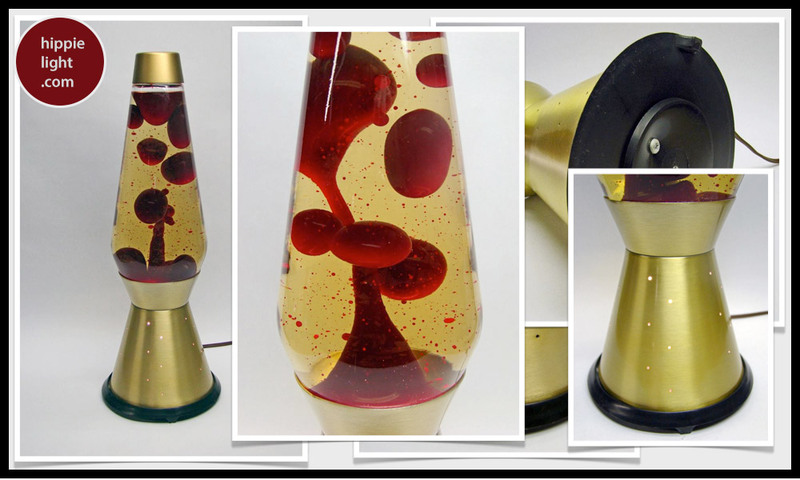 We lava lamp collectors love the original lava lamps made in the USA and nothing is better than finding a lamp style or design that has not been seen before. The lamp on the left is a typical Aristocrat with the white base and cap combination with the gold flecks of paint on the base and the cap. It is not an early white and gold Aristocrat as earlier versions of these lamps featured a gold cap as opposed to the white/gold cap seen. However unlike normal ones this features an inverted tray that is located on the mid-point of the base. This tray contains two musical windup music motors which play sound. 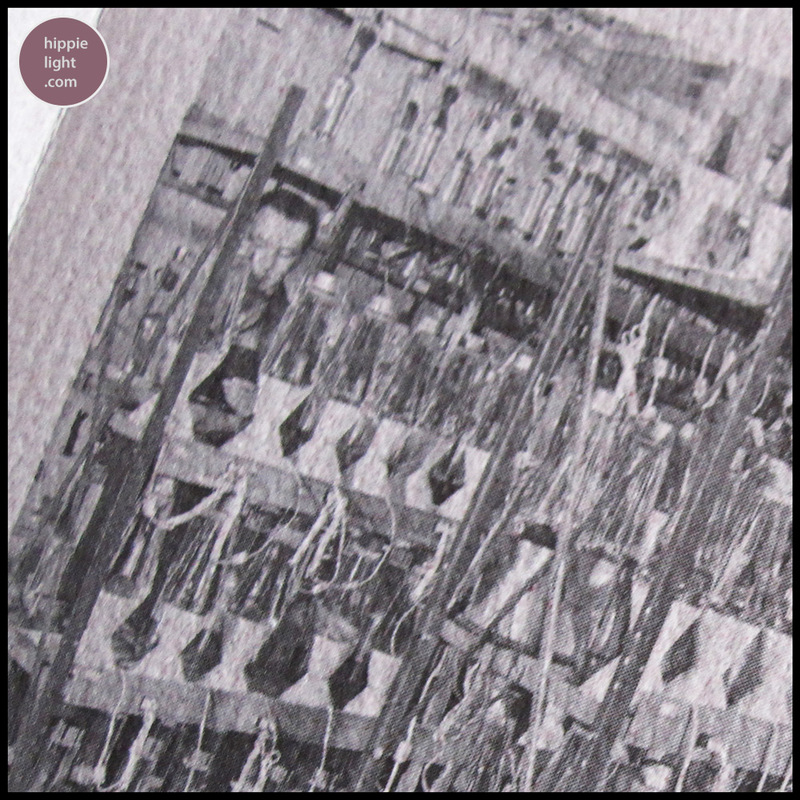 Once the music motors have been wound by clockwork action, they will begin to play music. Funky and great for for the young kids. A few of these lamps have been spotted, therefore these lamps are not just customised pieces. Further to this the part which contains the music box has the same white and gold paintwork on it, which makes us believe this was not customised and shipped from the original factory. 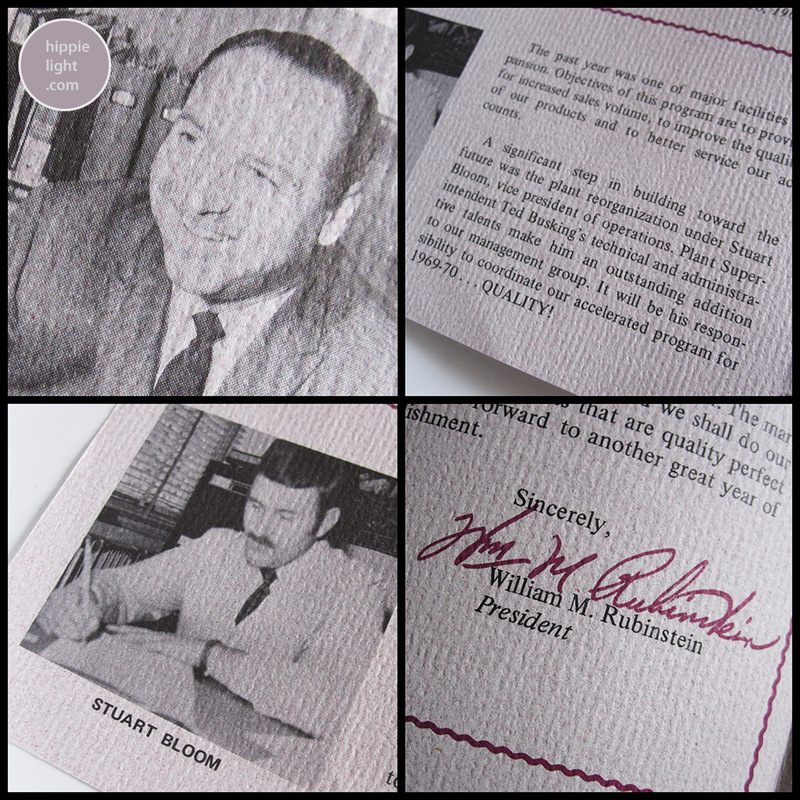 A few examples of these have been spotted and are very rare, therefore they may have only been produced for a limited time or in a small number. 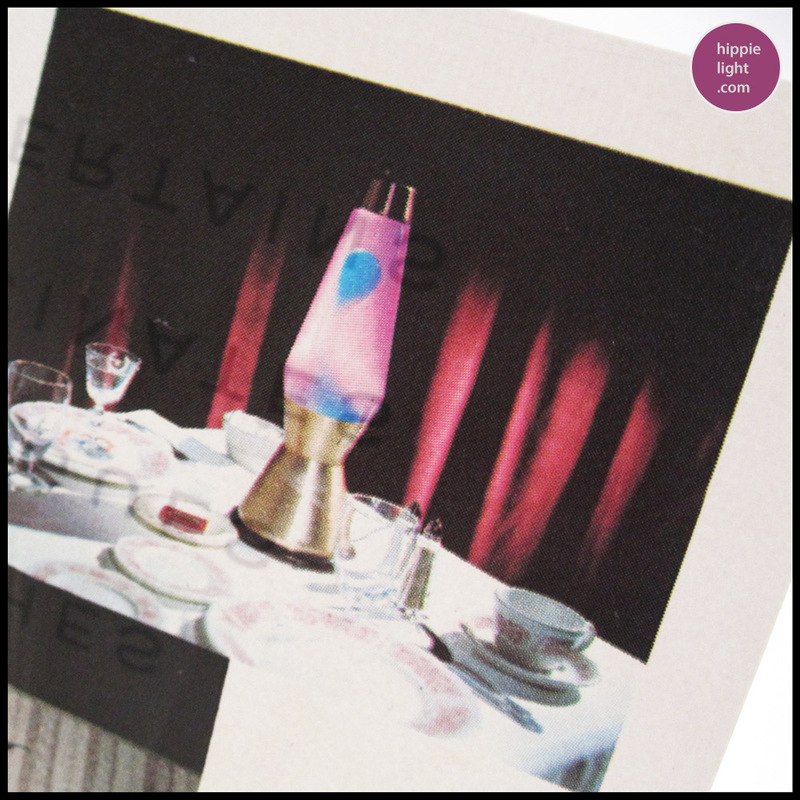 These lamps are not featured in any catalog or sales brochure that we have seen and do remain a musical mystery. If you know any more about these lamps or have one, we would like to get in touch with you. Please drop us an email at: hippielight@googlemail.com Thanks! www.hippielight.com | The Princess | The Beautiful Wall-Mounted Sconce "lava lamp"
The Princess wall mounted lava lamp - Model 2100 | "A dramatic new styling concept. Use singly in halls or foyers, use in pairs for smart new wall treatments." Princess featured a beautiful consort styled globe placed onto a walnut scone with a reflective back which reflects the motion within the lava lite. The base features a handy switch on the underside and it is connected via a tubular section to the wooden backing of the lamp. The wonderful photos below are kind courtesy of ammodesign. Below one can see a these very rare vintage wall mounted lava lamps and they are completely stunning and complete with everything. Princess feautured various colour combinations in the 1960s: Green/ Blue, Champagne Mist and Red/ Clear. Princess uses a 15 watt intermediate base sewing machine bulb.